The Government is facing renewed Dáil pressure over the controversial National Broadband Plan (NBP). The process of awarding the NBP has been beset with delays and difficulties. These include two bidders dropping out, the resignation of a minister and fears the costs of the project could soar to as much as €3bn. 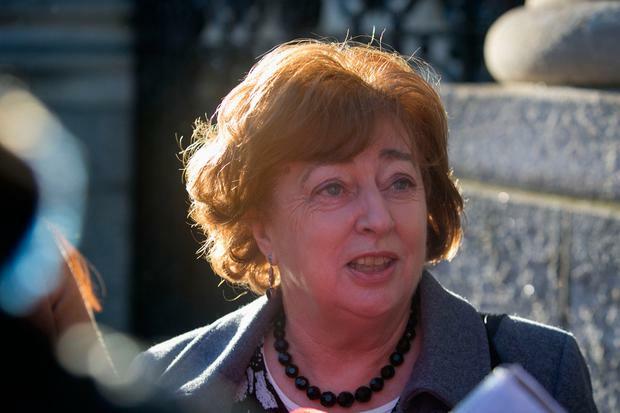 Now the Social Democrats co-leaders Catherine Murphy and Róisín Shortall have tabled a Dáil motion demanding Communications Minister Richard Bruton provide an “immediate update” on the status of the awarding of the contract. They are also seeking an assurance that Mr Bruton and his department have been satisfied as to the competitiveness of a process with only one bidder. They also want a statement from the minister on a report drawn up by the NBP’s independent auditor Peter Smyth. Mr Bruton’s predecessor as communications minister, Denis Naughten, resigned after it emerged he had meetings and dinners with David McCourt, the businessman leading the last remaining consortium in the process. Mr Smyth’s report cleared Mr Naughten and Mr McCourt of improperly affecting the tender process. He also found Mr Naughten was correct to resign in order to insulate the process from “apparent bias”. The Social Democrat’s motion states that concerns have been raised about the “completeness” of Mr Smyth’s report after it emerged he did not seek written statements from those involved. Last night Ms Murphy said the motion was being tabled to seek assurance for the public that “such an important decision is not just being taken on the basis that we are too far into a flawed process to turn back and get it right”. She said a delay would be preferable to wondering in years to come “where and how it went so badly wrong”. “People in rural Ireland are desperate for reliable and sustainable broadband but they will only be guaranteed such a service if we get this process right while we have this chance,” Ms Murphy said. A Department of Communications spokesperson said: “Minister Bruton has said that he wants to bring the procurement process to a fair and impartial conclusion as quickly as possible. “The assessment of the final bid by the department is continuing and has been since a final tender submission was received from the bidder on 18 September.